It has been said that I practically live at Artesian at The Langham Hotel: no truer words have been spoken and I blame the Pink & Gold. After the gracious invite from Aron to sample the signature cocktails of the Artesian I was quick on the uptake to invite fellow lush Qin. After our previous cocktail fuelled night at London Cocktail Club, obviously the answer was yes, and this is what ensued. Heads of state, celebrities and tycoons have made The Langham their choice among London luxury hotels since 1865, so I felt right at home as I climbed the stairs to the opulent entrance to the hotel. 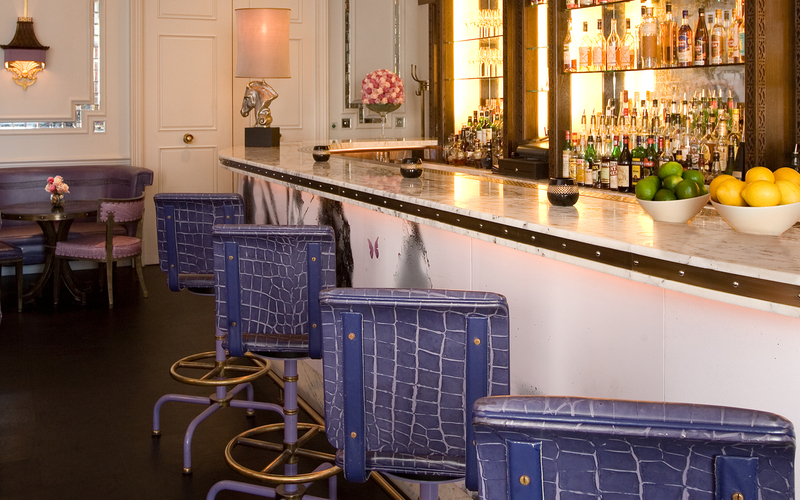 I made my way to the Artesian; a beautiful salon bar designed in hews of purple with lavish oriental inspired chandeliers and plush sofas. 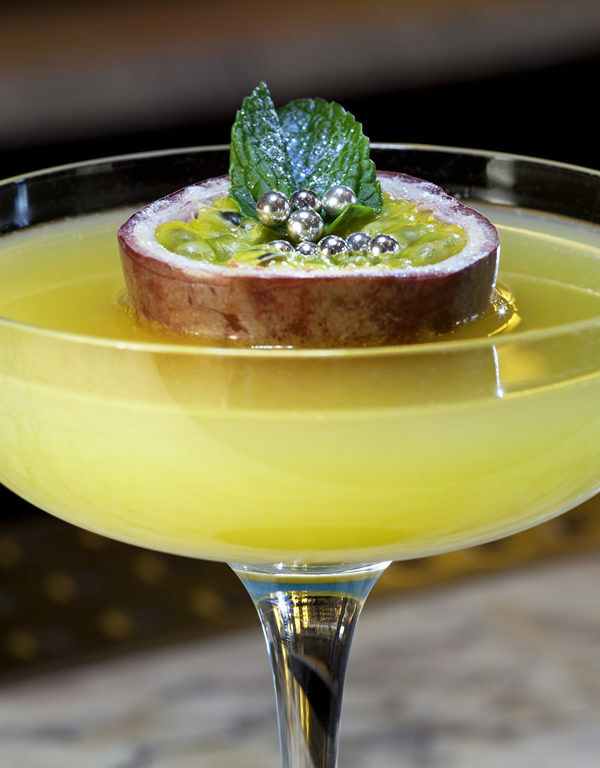 As I sat down at my reserved window seat, I received a text from Qin – she was late but this did not bother me as my first drink had already been ordered for me by Aron. I replied: “No rush, I am drinking your share.” Aron had previously recommended the Pink & Gold, the Langham’s signature cocktail in the colours of the hotel, made with a twist of the Tommy’s margarita consisting of Don Julio Blanco, fresh lime and homemade syrup using Chinese white tea, hibiscus flower and rose petals. This is what arrived at my table, a truly magnificent spectacle. 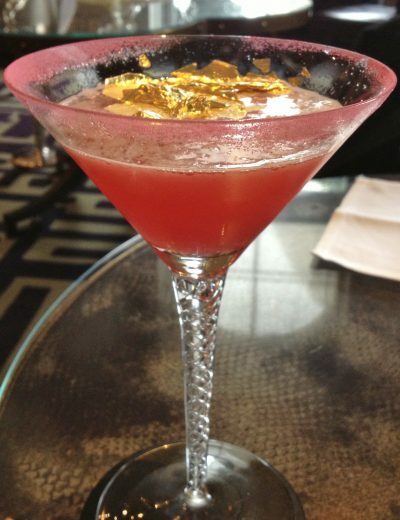 Served in a martini glass dressed with edible gold, the vivid pink drink looked to die for; this was a cocktail of champions. I am not usually a lover of tequila, but this cocktail was divine; light with a hint of rose and a sharp after kick thanks to the tequila and salt rim. In under a minute the cocktail was gone, too good to sip slowly, and I realised I looked somewhat of a drunken loner – where was Qin? As I was about to call her, I was approached by the bar manager and told I had to move to The Palm Court, it seemed that a “suspect package” had been located outside one of the Embassies and the police had informed The Langham to move all guests away from the windows as a precaution. 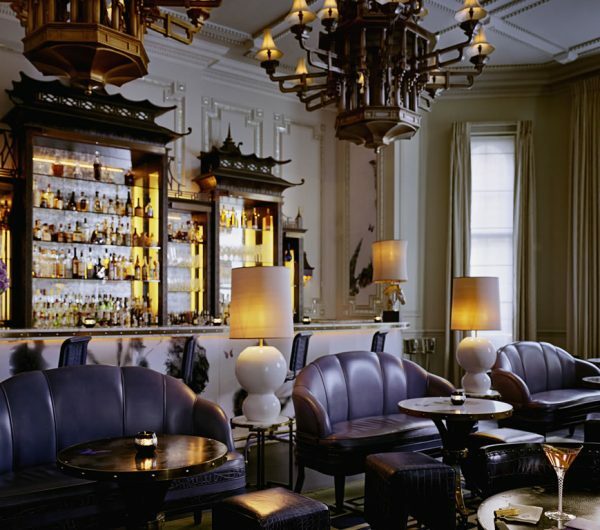 I was promptly moved to a seat in The Palm Court, the wonderful waiter of the Artesian carried my Louis Vuitton and tweed jacket into the lounge and got me a glass of Champagne – a lucky guess or had my reputation preceded me? As I settled down to read the paper with my glass of bubbles I received a further message from Qin, she is stuck outside as the police have formed a barrier from Oxford Circus while the “suspect package” is being dealt with. I text her back with a picture of my glass of champagne: “Wish you were here.” Her reply I cannot put into print. Qin arrived, in somewhat of a fluster and just in time for Champagne Charlie. It is a tradition in all Langham Hotels worldwide to celebrate the ‘Change of Day’ at 19:05 hrs (a nod to the hotel’s original opening in the year 1865) with Champagne Charlie who brings glasses of Champagne to all the guests, something Qin is very happy about, being two drinks behind me. We make our way back to the Artesian (as the “suspect package” has now been dealt with) to carry on with our evening of award winning cocktails. Back in our window seat, I convince Qin to have a Pink & Gold, while I opt for the Cask Mai Tai (an old favourite, being a rum drinker). The drinks were splendid, my Mai Tai looked like Christmas in a glass. 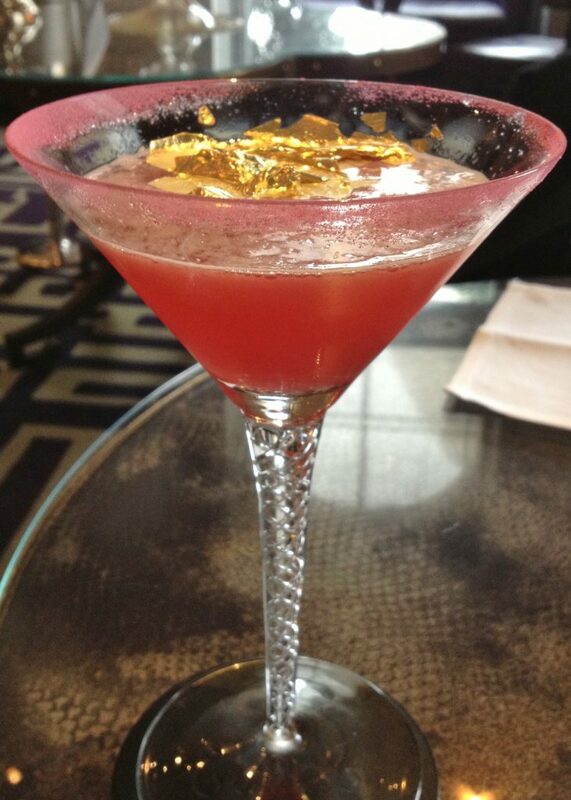 Qin was impressed with the Pink & Gold and I felt somewhat smug at having suggested it, like an Artesian connoisseur. We turn to the menu once again, it seems we both want the Alice in Wonderland, but I give in and order a Best Kept Secret, agreeing we will try each other’s once they arrive. Again the cocktails are a works of art, the Alice in Wonderland was wonderfully pink and my Best Kept Secret looked like an autumnal hedgerow. There were looks of pleasure and surprise on both of our faces – these cocktailsare amazing, totally worthy of the accolades they have won. We try each other’s cocktails and cannot decide whose is best, it seems all the cocktails at the Artesian are equally as good, something we decide needs further testing so we order two Langham Cobbler’s with rose champagne chasers. Cocktail after cocktail Qin and I are pleasantly surprised, no matter the base spirit of the drink, the ingredients used, every cocktail is scrumptious and presented like a gift, perfectly wrapped with exactly want you wanted inside. 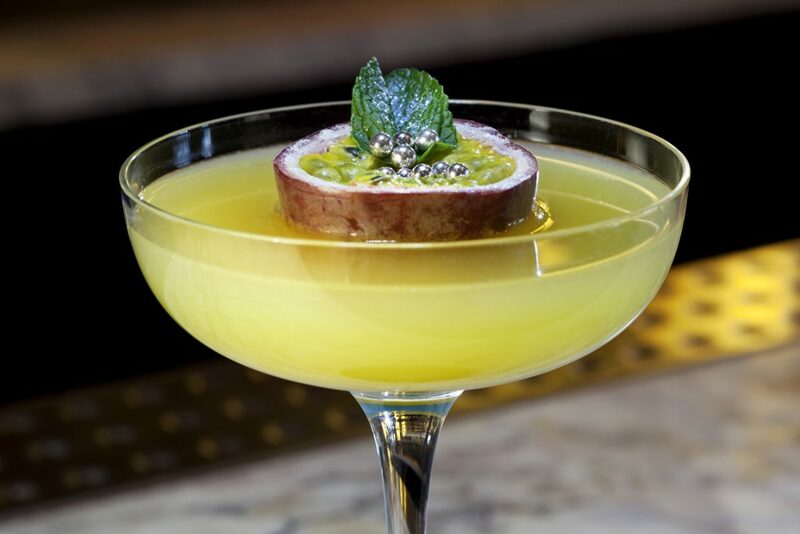 We try many more in search of one we do not like: a French 75, a Pistachio Cocktail – Girl from Ipanema, a Hibiscus Cocktail – Club Netherlands – but it seems the team at the Artesian are masters of their trade, Qin and I love them all. Now, feeling a little squiffy, we decide to order a nightcap. It is almost time for carriages so we survey the menu one last time. 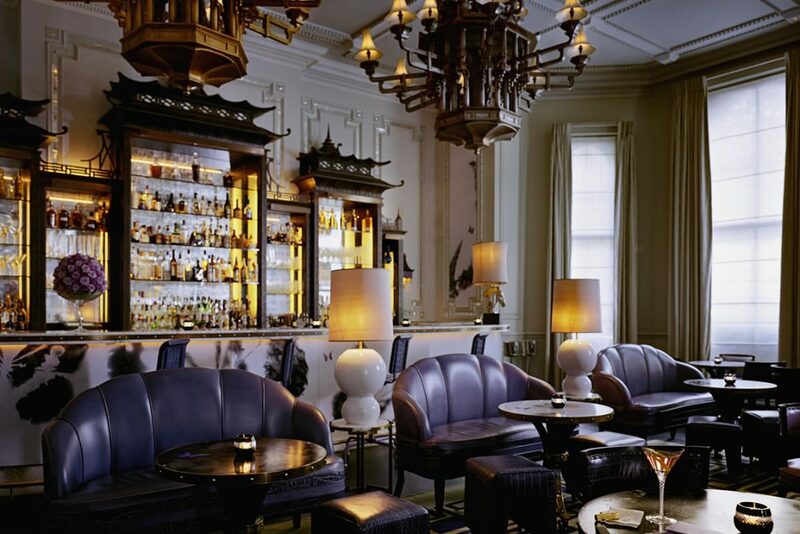 Qin orders off the Hot Toddy section a Hot Buttered Rum, but I, staying true to Aron and The Langham, go back to where it started, the Pink & Gold. We finish our drinks and contemplate what is enviably going to be an interesting journey home, but while in the cab I think to myself: I wonder if I could live at The Langham – I really do like that Pink & Gold!